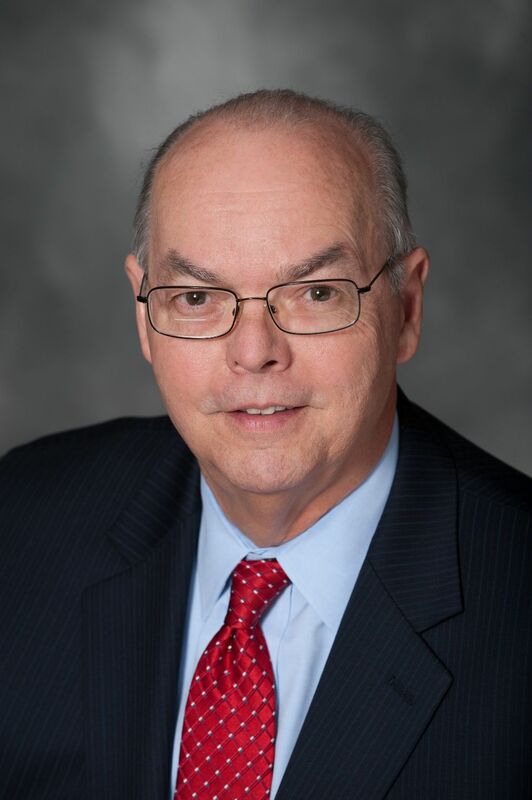 Dr. Stephen C. Shannon serves as the President and CEO of the American Association of Colleges of Osteopathic Medicine (AACOM), which represents the 33 accredited colleges of osteopathic medicine (COMs) in the United States. He has previously served as Dean of University of New England’s College of Osteopathic Medicine. Dr. Shannon received his BA and MA in American History from University of Maryland, his MPH from Harvard University, and his DO degree from New England College of Osteopathic Medicine in Biddeford, Maine. Dr. Shannon has strong interests in public health and preventative medicine, and in major research areas of clinical outcomes study, health promotion and disease prevention, health professions workforce, rural health, and medical school curriculum. Can you please describe your career trajectory, leading up to your current role as President and CEO of AACOM? Several distinct things happened along the way that led me to this role. I was initially pursuing my PhD in American History because I wanted to understand concepts from a higher-level perspective. During this time, however, I also volunteered at a free clinic in Washington, D.C. alongside a few premedical friends. In seeing them interact with patients, I gained a new perspective on what one could accomplish with one’s life. I decided to pursue medicine, and in the process, became a Nurse’s Aide at a nursing home and an Orderly at a hospital. During this time, I began preparing for the MCAT, and at the age of 32 was admitted to medical school at the University of New England College of Osteopathic Medicine (UNE COM) in Biddeford, Maine. During my training, I gained experience in public health through working at a clinic for patients with STDs. This opened my eyes to how inconsistent the availability of quality health care can be. I saw that there was a great opportunity, especially for those who were interested in community-based education, for training and practice. I eventually did my residency training in family medicine and during that time engaged with the Health Department of the State of Maine. I then completed a preventive medicine residency at the University of Massachusetts Medical School and Harvard University School of Public Health, and worked for several years as a resident and then as a consultant with the Massachusetts Department of Public Health. Thereafter, I became a faculty member at UNE, where my wife was also on faculty as a neurophysiologist, eventually transitioned to Interim Dean at UNE, and then ultimately Dean for 11 years. That’s where I encountered all the ins and outs of what was happening within medical education. I became highly engaged with trying to develop a competency-based curriculum for our medical students as well as create an MPH program. Following this experience, I was looking for a larger challenge and accepted the position as President and CEO of AACOM in January 2006 because it was and remains a truly dynamic time for the osteopathic medical field. What do you think has contributed to the tremendous levels of growth in osteopathic medicine? Many factors have contributed, the first of which has to do with the reality that we’re a minority profession. We did not exist in large regions of the country; in fact, there were only a handful of states that had colleges of osteopathic medicine (COMs) until recently. At the same time, there were DOs practicing in all 50 states and the District of Columbia. Many of these individuals saw a demand to grow the profession and to create COMs in their states for the first time. These DOs were increasingly taking up leadership positions in organizations, and their roles were fueling a growing recognition that osteopathic medical schools were doing a tremendous job of producing future family medicine, primary care, and internal medicine physicians. This also made COMs appealing to health care systems, especially given the physician shortage. Another factor driving the rise in osteopathic medical schools is the economic driver in certain regions. These communities recognize that the provision of education is an excellent way to contribute to the economy, as infrastructure develops around the new schools. A whole host of osteopathic medical schools have thus been established as an adjunct to a larger community development plan. As far as reasons for the growth of DO medicine itself, we’ve seen it occur in multiple ways. Some existing schools grew their enrollments. Others started satellite campuses, such as Philadelphia College of Osteopathic Medicine (PCOM), Lake Erie College of Osteopathic Medicine (LECOM), and Edward Via College of Osteopathic Medicine – (VCOM). In other places, new osteopathic medical schools sprung up, creating a culture of innovation in OME. The unique model at the A.T. Still University of Health Sciences – School of Osteopathic Medicine in Arizona (ATSU-SOMA) – where students spend a year on campus followed by the next three years in small cohorts at community health centers in different parts of the country – is a prime example. Speaking of innovation at osteopathic medical schools, it seems that these schools often have allied health profession training programs and can contribute to interprofessional education (IPE). Can you comment on this aspect of DO training?Many of the COMs first existed as stand-alone medical schools decades ago. They then began to develop other health care programs such as physician assistant, pharmacy, and public health. These osteopathic schools are less likely to be part of large universities with huge undergraduate populations and more likely to have a health-care focus. There has always been a team-based focus in osteopathic medicine and in recent years we have seen more innovations to directly promote IPE. In July 2016, our accrediting body adopted new standards for IPE that recognized this accelerating trend, to help develop competencies for team-based care. At stand-alone osteopathic medical schools -- such as West Virginia School of Osteopathic Medicine (WVSOM) and VCOM—they have developed partnerships with other health professions schools and educational institutions for IPE purposes. This collaboration reflects a pattern we have seen especially in the last 10-20 years, which will help to address the challenges of a rapidly changing health care system in the United States. Can you comment on the inputs into osteopathic medical schools and the outputs? Specifically, trends in applications to osteopathic schools as well as the availability of GME positions? To inform and educate prospective students and raise awareness among the general public about osteopathic medicine and medical education, our Director of Application Services, Recruitment & Student Affairs and her team is building relationships with schools and ensuring our participation in a number of campus and health professions events. Through these efforts, we have a presence at many venues including recruiting events, health fairs, and other opportunities at campuses nationwide. For example, we attend the American Medical Student Association (AMSA) health fairs, the Student National Medical Association (SNMA) events, and meetings hosted by the National Association of Advisors for the Health Professions (NAAHP). These are premedical advisors as well as advisors to people in other health professions. We are beginning to strategize on how we can reach out to pre-college student populations, which is particularly important as it relates to attracting a more diverse array of students pursuing careers in medicine, particularly osteopathic medicine. Some of our schools have relationships with high schools, and in some cases even with middle and elementary schools, to teach students about medicine. We track a lot of data to determine which schools often feed into osteopathic medical schools. We are also trying to broaden the knowledge of the public in general about who we are. The number of applicants has been more than matching the number of seats available. We’ve gone from a ratio of something around 2.3-2.4 applicants/seat to close to three applicants/seat. Our application growth has averaged around eight percent over the past five years. There are other trends that are going on that may impact this for all health professions. The growth in the number of BA degrees being awarded used to be at the three to five percent annual increase range over the last decade or so. This is me generalizing information, keep in mind. The growth has decreased though given the demographic shifts, and this varies by region too. In terms of the outputs, it’s an important and complex question so I’ll answer it in several ways. Our students in recent years have been doing very well in terms of obtaining GME positions. We’ve had something like 99.6 percent of our graduates getting GME positions, about half through the American Osteopathic Association (AOA) match and the other half through the NRMP match. Some students will go through the AOA match and if they don’t match they go to the National Resident Matching Program (NRMP) match. In the end, virtually every graduate gets a graduate medical education (GME) placement. With the single accreditation system (SAS) over the next five years, there are still both matches going on. That will continue until 2019, because all the AOA accreditation will then merge with ACGME in 2020. That presents a level of simplicity in some ways to students because they will then only have one match to enter. They won’t have to go through the system twice. About a third of AOA programs were already duly accredited so they won’t need to have two sets of accreditations. At the same time, however, it puts everyone into the same pool for competition of spots that are available. It’s not only in the osteopathic world, but also in the Liaison Committee on Medical Education (LCME) schools where deans want to be sure their students make wise decisions in terms of the specialties they try to match into, the processes they use to interview and gain experience, and the strength they demonstrate in their Medical School Performance Evaluations (MSPEs) and Electronic Residency Application Service (ERAS) application. I think there is a general level of concern that there has been a large increase in MD/DO enrollment, but we haven’t had as much growth in the GME positions available. There has been some growth in GME (around 0.9 percent a year), with much of it taking place in AOA programs in new hospitals. It’s still not sufficient for the needs of the population. Over 20 percent of GME positions are being filled by international medical graduates. What are your thoughts on the growing interest in student & physician wellness? We had two keynote speakers at AACOM’s Annual Conference who focused on student and physician wellness and preventing burnout. The Council of Osteopathic Student Government Presidents (COSGP), in partnership with the Student Osteopathic Medical Association (SOMA), recently created the Mental Health Awareness Taskforce (MHATF) to promote psychological well-being among health care professionals. We also secured a dean-level commitment to review resources that we are committing toward this campaign. AACOM and our partners are engaged with the Coalition for Physician Accountability in both recognizing and raising awareness of this issue. The National Academy of Medicine (NAM) will host a conversation about physician burnout that may move into a formal investigation report with recommendations. In terms of individual students, we want to support them at all levels up through and including residency training. We want to be sure that the general practice population has access to this information as well and are investigating the potential for doing a study that looks at empathy and the loss of empathy during medical education, which could be profession-wide. Loss of empathy is one sign of burnout. Do you have any advice for today’s medical students? My advice would be to prepare for a career in practice than the clinical world in which they are training. The health care world is transforming, and they will be part of that change. The more they can be participants in that change and the stewardship of knowledge, the more they are able to collaborate with team members, patients, and communities, and the more they can work with other stakeholders, the better they will be renewed by the health care system of the future because they will be truly a part of its creation and performance.